The .htaccess file is not exclusive to WordPress. Every other Apache web hosting offers the .htaccess file feature. Let us first understand what a .htaccess file is. What is WordPress .htaccess file? In most of the cases, when you install WordPress, the .htaccess file comes by default. 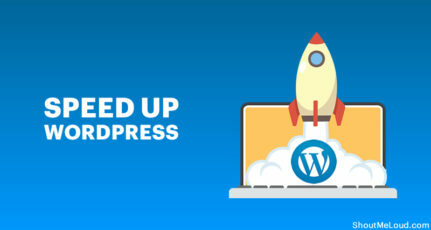 However, it stays in hidden mode at the root of your WordPress installation. Sometimes, the .htaccess file is not present, and you have to create the .htaccess file in WordPress manually. Now, we can use a normal text editor to update or remove the content of our WordPress blog .htaccess file. Let us take, for example, a question asked by one of ShoutMeLoud’s readers Kashish. Q: Hi, I want to edit my Permalink to /%postname? in WordPress, and it says to add some code in my .htaccess.txt file, but I could not find it anywhere in my dashboard or the root directory. How do I create WordPress .htaccess file and add the code into it? use the Filezilla FTP client, you can refer to my post on how to edit your .htaccess file. All you need to do is click on force showing hidden file, from the options menu, which has been explained earlier. 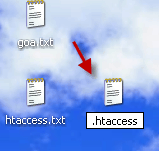 In case the .htaccess file does not exist, just create a new notepad file (htaccess.txt) and rename it to .htaccess. Make sure that it is not like .htaccess.txt in any way. 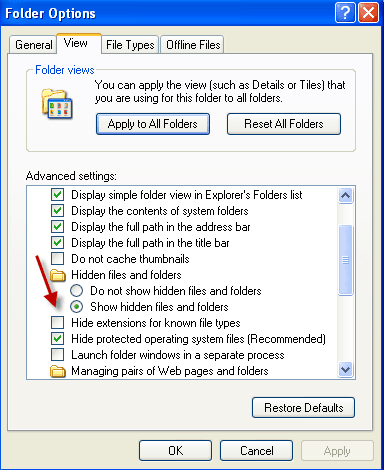 If you use Windows, you can uncheck the option which says Hide extension for known file types. Once you have renamed the file to .htaccess, upload it to the root of WordPress installation and edit your file according to your need. In case you have a hard time renaming from htaccess.txt to .htaccess, simply upload the htaccess.txt file and rename it on the server. Let us further learn how to can edit .htaccess file. For a better understanding, I’m sharing a quick tutorial on how to edit your WordPress .htaccess file. Moreover, when you edit your WordPress permalinks, you need to update your .htaccess file. If you are a self-hosted WordPress user, you MUST know about the .htaccess file and how to edit it. Most web hosting companies offer cPanel, which makes it easier for non-technical people to play around with and modify their .htaccess file. Select the .htaccess file and click on “Edit”. This will open the editor in a new tab, and you can make changes from there. 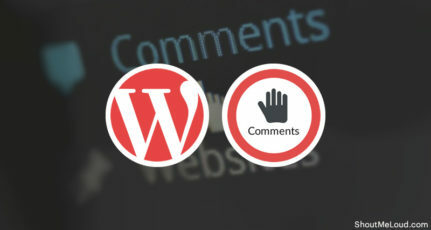 There are many WordPress plugins which offer the feature to edit your .htaccess file from the WP dashboard. If you use the SEO by Yoast plugin, you can access it from SEO by Yoast > Edit Files. This is my favorite method as I love to do things on a desktop. To top it up, FTP clients give you more control. Use any free FTP client like FileZilla and log in to your FTP hosting account. Browse to the root of your installation. 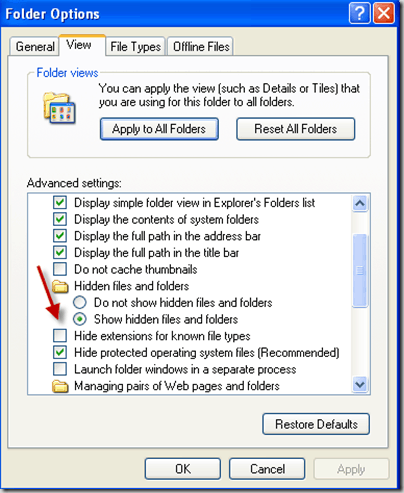 You have to enable Show Hidden Items to see the .htaccess file. Now, navigate to the root folder of your domain. Your .htaccess file will be at the root of the folder. Make sure you take a backup of your .htaccess file before you start editing it. You can use your OS default text editor to edit the file. Once it’s edited, upload it back again. In the upcoming posts, I will be sharing a couple of WordPress .htaccess hacks which will make your life easier. 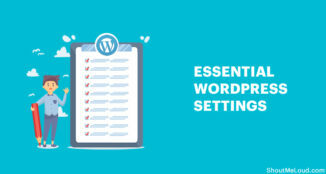 Do let us know if you still have questions regarding the steps to edit your WordPress .htaccess file. I just screwed up with my .htaccess file… 🙁 can you please help me? I think something would have got changed when i used the plugin. I have uninstalled the plugin and tried to access the page still the same error. But I can see the page in my wordpress admin page with the old url and when I click on ‘view page’ it gives 404 error. I have checked my .htaccess file and it seems there is a problem. Below is my .htaccess after the plugin was installed. ( RewriteRule ^index.php$ – [L]) when compared to both the .htaccess what I have tried. I’m confused which one should I use out of all these three. I don’t remember what was my original .htaccess.. 🙁 before all these goofups happen. But I was using %postname% permalink. 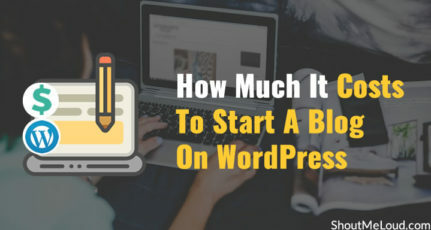 I think you will be able to help out with this…I had gone through some of your posts and I feel you are expert in wordpress. I have tried your editing tips using your suggested code as written and it has shut my site down every time! What am I doing wrong? Are you using FTP method? 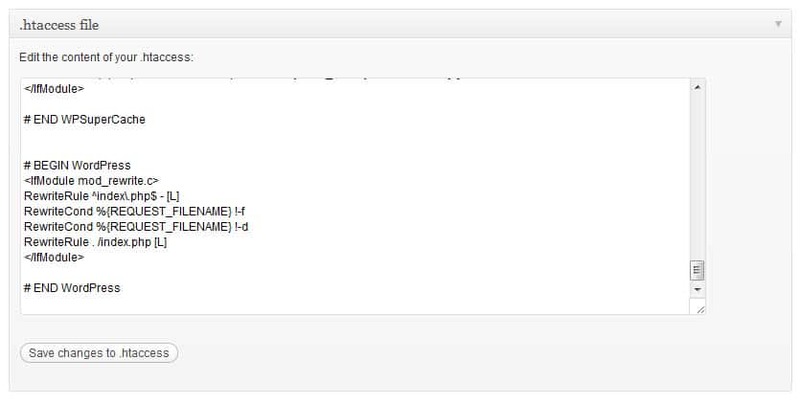 Can you share the code which you are adding, usually it happens when code is wrong in .htaccess file. respected all i ask a question on my site up-to 500 pages i read on google ….. I am Sunil Prajapati. As you wrote above, i did as well but my permalink yet not changed. It is now 404 error showing. Please tell me now what can i do….. I want to change my permalink structure. Now I need to play with my .htaccess file. I never realized it was right there in my Yoast SEO plugin! Thanks so much for sharing this information. Critical stuff to know in the rare instances you need to modify the .htaccess file. Thanks for sharing!!! Hi, I think my .htaccess file is hacked. I have All in One SEO pack and it shows .htaccess file but it looks right. Can you please tell me if there are hidden files in .htaccess file then where can I find them? 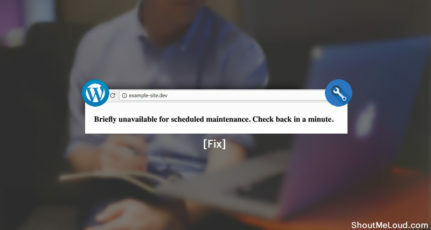 Something is changing my htaccess and make my site unavailable. This is happening like one time a week. I have wordfence, stop spammers, bruteprotect and anti-malware. I can’t find anything that could be making does changes. Disable the plugins & see if that solves the problem. 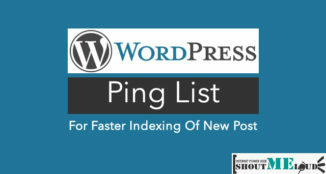 Hi i changed the wordpress permalink structure which is hosted in Ipage. Actually it is not updating automatically .htaccess file. In order to update the file i need to change the permissions for .htaccess ..how can i do it..? And from here you will be able to change the permission of .htaccess file. I have already outlined the steps above. If you are still unclear, let me know & I would do a video for you. 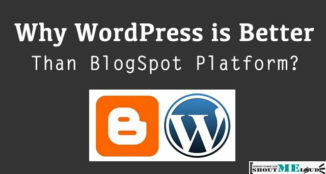 I have installed wordpress on my sites. They were working fine. But in last 2 days…my site is not working fine. My domain is opening properly in Desktop but not in mobile devices. In mobile devices my domain is redirected to other random domains. Also, then I noticed the changes htaccess file. I have removed the redirection codex but now my sites are not opening properly in mobile devices. They are still fine with desktop. What should I do…any help will be appreciated. It’s tough to help you with little information. What I would do in such case is, speak to my hosting tech team.